Know your rights as a renter in NEw Zealand! 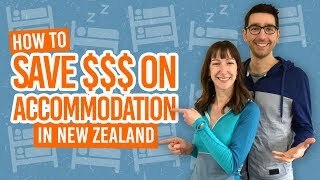 There comes a point in many backpackers’ travels where you must settle down for a few months, usually to experience living and working in New Zealand to fund the rest of your travels. One long-term accommodation option is renting a house or flat with friends or sharing a house as a flatmate. Before jumping into renting, know your rights to make sure you are treated fairly. This article will go through what are your rights as a tenant or flatmate in New Zealand. You are a tenant renting a property from a landlord. You are a flatmate sharing the rent cost with a tenant. You are a flatmate living with a landlord and paying rent to the landlord. Although much of what is covered in the article below are legal rights between a tenant and landlord, it is a good idea to make sure these conditions are covered in a flat/house share agreement, if you are looking to be a flatmate rather than a tenant. Are you a tenant or a flatmate? First things first, your rights depends on whether you are technically a tenant or flatmate. A tenant is someone who has their name on the tenancy agreement and is protected by the Residential Tenancies Act. Flatmates live in a property without having their name on the tenancy agreement. They are not protected by the Residential Tenancies Act. Flatmates’ rights depend on what has been agreed with the property’s tenant or landlord, whether it’s on a flatting agreement or agreements made in person, by text message, by email, etc. 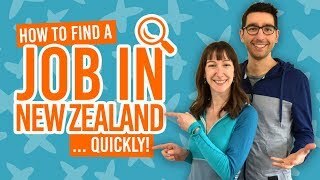 For information on becoming a tentant/flatmate, check out 6 Resources to Find a Room to Rent in New Zealand and How To Find a Flat in New Zealand. and any damage caused to the flat. and can deduct outstanding costs from the bond when the flatmate leaves. That’s why it is a good idea to draw up a flat/house share agreement, such as this template provided by Tenancy Services. Here are your rights when it comes to paying your rent. A landlord must give a written warning of a rent rate increase 60 days before the increase takes place. Your landlord can increase the price of rent once every 180 days (about six months). Some landlords might have an annual rent review but they must include the details of this in the tenancy agreement. The change in rent price can only take effect on a set date each year or from the next rent payment due within 28 days of the date stated in the tenancy agreement. If you have a fixed-term tenancy (you have a start date and end date to your tenancy), the landlord cannot increase rent rates unless stated on the tenancy agreement. If you feel you are being charged too much for rent, apply for a rent review with the Tenancy Tribunal. This is measured against the rent rates of similar properties in similar areas. After your rent is overdue just one day, the landlord can give you a notice saying you have 14 days to remedy the situation – basically, by paying the rent that you owe. If you haven’t paid your rent within the notice period or 21 days after the rent was due, the landlord can apply to the Tenancy Tribunal to order you to pay. How much rent in advance can a landlord ask for? Up to two weeks in advance. This counts as the first rent payment. The landlord cannot ask for anymore until that rent payment has been used up. Should you get a receipt for rent payments? If you pay in cash, yes, your landlord must give a receipt. Other methods of payment do not require a receipt. However, if you ask in writing for a statement of rent payments, the landlord must provide you with it. The bond is money that acts a security for the landlord that will be used to pay for any damages or unpaid rent. Whether you are a tenant or a flatmate, you have to pay a bond. The worth of the bond can be anything up to four weeks’ worth of rent. The bond is not held by the landlord but by the Tenancy Services of the Ministry of the Business, Innovation and and Employment (MBIE). This means the landlord must pay the bond to Tenancy Services within 23 working days of receiving it. Otherwise, if agreed with the landlord, you can pay the bond directly to MBIE. However you pay the bond, both you and the landlord must sign a bond lodgement form online or send the form and money by post. MBIE will then issue an acknowledgement to both you and the landlord. Keep this acknowledgment to get the bond back more easily. What if the landlord does not send the bond payment to Tenancy Services? If Tenancy Services doesn’t receive the bond within 23 working days, the landlord can be ordered to pay damages to the tenant. The tenant should contact Tenancy Services for this matter. If the landlord increases the rent, can they ask for more bond money? Although this happens very rarely, the landlord can ask for the difference between the old bond price and the new bond price, however, it can be no more than four weeks’ rent. Ending the tenancy and getting your the bond back. The bond will be paid back in full to the tenant/flatmate if there is no property damage and no outstanding rent payments. Damages might include damaged property, leaving the house and garden uncleaned, and missing items. To get the bond back, the tenant and landlord must sign a bond refund form and send it to Tenancy Services by post, fax or email. Once the bond refund form is sent, you have 10 days to object. For any disputes about how much bond should be refunded, either landlord or tenant can make an application to the Tenancy Tribunal, for a fee of NZ$20. A property inspection is a good way for both you and the landlord to keep in contact regarding things such as maintenance issues and for the landlord to check if you are maintaining the property well. A landlord has to give 48 hours’ notice before carrying out a property inspection. An inspection can occur once every four weeks at the most. They must also give 24 hours’ notice before doing any repairs or maintenance. An option fee – this is used as deposit to secure the property while you decide whether to rent or not. It should be no more than one week’s rent. The option fee must be refunded or used as rent, if decide to rent. If you decide not to rent, then the landlord can keep the option fee. Letting fees – this is a commission for arranging the tenancy paid to the lettings agents, real estate agents, or landlords’ solicitors. It is usually one week’s rent plus GST. Water usage, if the property water company charges separately for water and has no meter to record usage. Call-out fees – If you tell your landlord that there is a maintenance issue and they call out a contractor to assess the problem then find there is no problem, you might be charged the call-out fee. Cleaning fees stated in the tenancy agreement, for example, an automatic bond deduction for cleaning at the end of your tenancy. House insurance (not to be confused with contents insurance for your personal belongings). If you are a flatmate, it’s best to agree with the landlord/tenant in the flat sharing agreement how many days’ notice is needed by either party to terminate the agreement, i.e. you move out or the tenant/landlord decides when they want you to move out. It is usually two weeks’, 10 days’ or one week’s notice. The landlord or landlord’s family wants to move in. The tenancy agreement states that the property is for housing the landlord’s employees, and another employee is taking over the tenancy. The property is being sold and the purchaser wants the property to be vacant. Fixed term tenancies have a end date specified on the tenancy agreement. If the tenancy is no more than 90 days (about three months), you must leave the property by the date specified. If the tenancy is for longer than 90 days, then at the end of the fixed term the tenancy automatically becomes a periodic tenancy , although you and your landlord can agree otherwise. If you wish to leave at the end of the fixed term before it automatically becomes a periodic tenancy, you must provide your landlord with notice 21-90 days before the end of the fixed term. If you wish to end your fixed term tenancy early, this has to be agreed by both you and the landlord. If there is a dispute, the Tenancy Tribunal will decide and can order either you or the landlord to pay compensation to the other. Disputes in your house or flat? There are many ways to avoid disputes between between flatmates, tenants and landlords, but the best way is by having a clear tenancy agreement or flat/house share agreement that is written. Although verbal agreements are still valid, written agreements are far more reliable. Plus, it is against the law for a landlord and tenant to not have a tenancy agreement. If there are any issues, first approach the landlord/tenant/flatmate about it. If the issue is unresolved, tenants and landlords can take the matter to the Tenancy Tribunal, whereas flatmates can take matters to the Disputes Tribunal. You can also get advice on your specific case by contacting the New Zealand Citizens Advice Bureau. 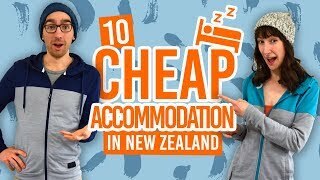 Plus, a good way to avoid disputes is to follow the advice in 12 Tips to Get Along With Your Flatmates, as well as Safety Tips Before Moving into a Flat or House in New Zealand.